While one of the definitions of hunt is “to search for”, the most successful hunters are often the ones who can make their prey come them. And that is doubly true when it comes to hunting waterfowl, which is why a good goose call can make the difference between bagging your limit and coming home empty handed. A Goose Call is a device designed to bring geese to your location by making sounds that mimic the call of a goose. Some goose calls are blown into like a whistle, while others are electronic and only require pushing a button. When it comes to shopping for the right goose calls for your hunting needs, it is important to consider your potential targets, as well as the location where you will be hunting. While generalized goose calls work for a wide range of geese, depending on your intended target you may need a more specialized type of goose call to attract more specific geese. We put together a list of 5 great goose calls to get you started. Most goose calls come in either plastic or wooden forms, and can range from mass-moulded goose calls to specially hand-crafted and tuned wooden calls. 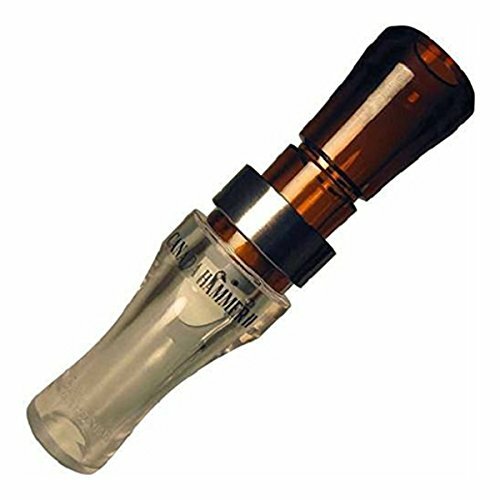 Each kind of goose call has a specific target goose and climate that works best for that particular style. When shopping for goose calls, there are a few things to keep in mind, namely intended location use, such as early in the hunting season or during more severe weather conditions, as well as the kind of goose you intend to hunt. A Canadian Goose has a very different call than other kinds of geese, with a more defined buzz sound in their call, meaning that you are less likely to attract that kind of goose with a generic goose call. Making sure you know the intended use as well as your price range before you begin shopping for goose calls. Goose calls can be made out of plastic or wood, and come in a wide range of makes and styles that vary depending on the needs of the hunter. Plastic goose calls are perfect for generic goose noises, and are ideal for use in inclement weather as they are not as easily affected by moisture or cold. While plastic or polymer goose calls tend to be on the cheaper end of the price spectrum, they are less sturdy than wooden goose calls, and tend to be less accurate on their call portrayal. A high-quality wooden goose call can increase the likelihood of attracting the kind of goose you are hunting, and is much easier to tune correctly. 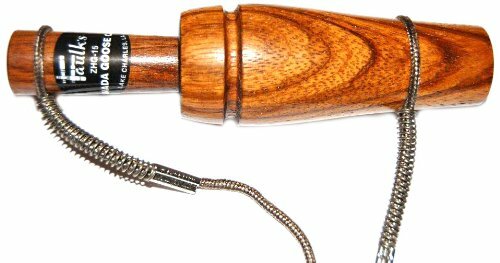 Most wooden goose calls are easier to learn than a plastic goose call as well, meaning there is less of a learning curve on perfecting your call. A good generic goose call should be simple to use and work on most species of goose, allowing you to have a base call for hunting season. A more specialized goose call for other kinds of geese, from snow geese to Canadian geese, can be a bit more price as an investment as it is not as flexible as other goose calls. 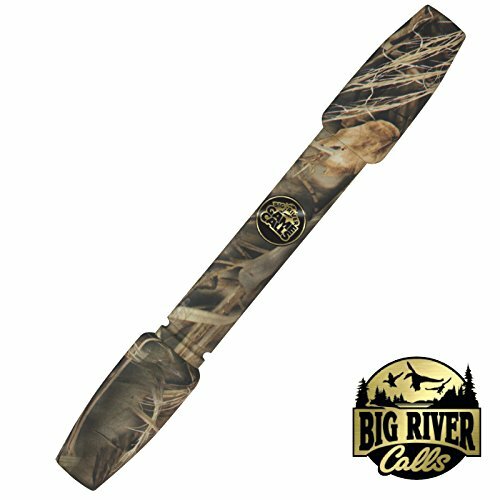 However, a specialized goose call is tuned to make sure that your call attracts the intended type of goose, allowing you to narrow down your call range. This can make your hunting easier as you do not have to worry about missing out on potential trophies due to a slightly-off goose call. Remember, while a good quality goose call can help make your hunting trip a breeze, caring for and cleaning your various calls can help ensure that you get the best sound possible out of them, and can make sure they work every time. How Do You Operate A Goose Call?